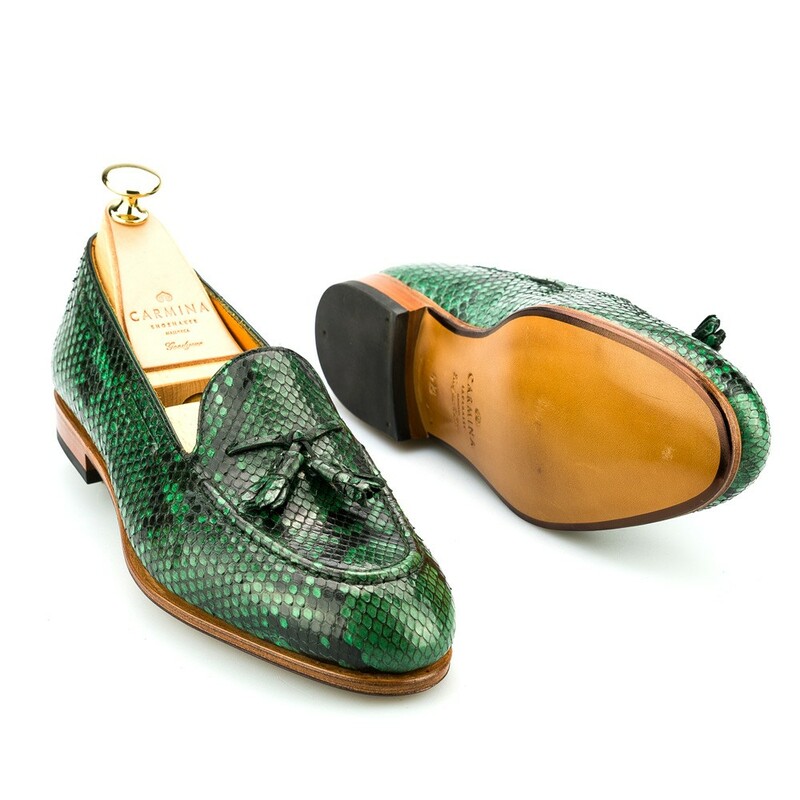 Classic tassel loafer in green authentic Python leather. 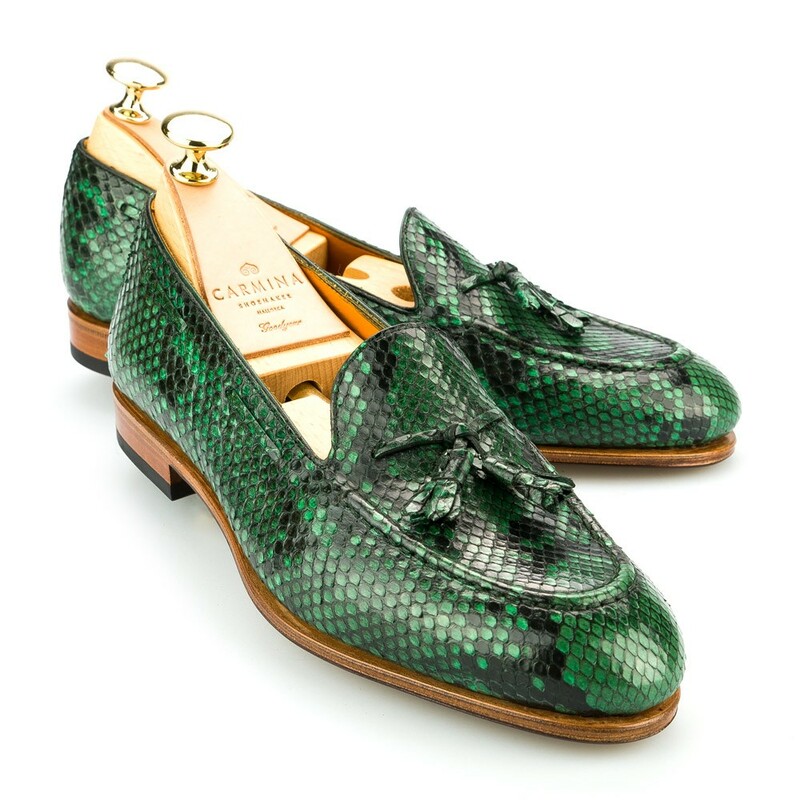 Style Goodyear welted on a single leather sole. 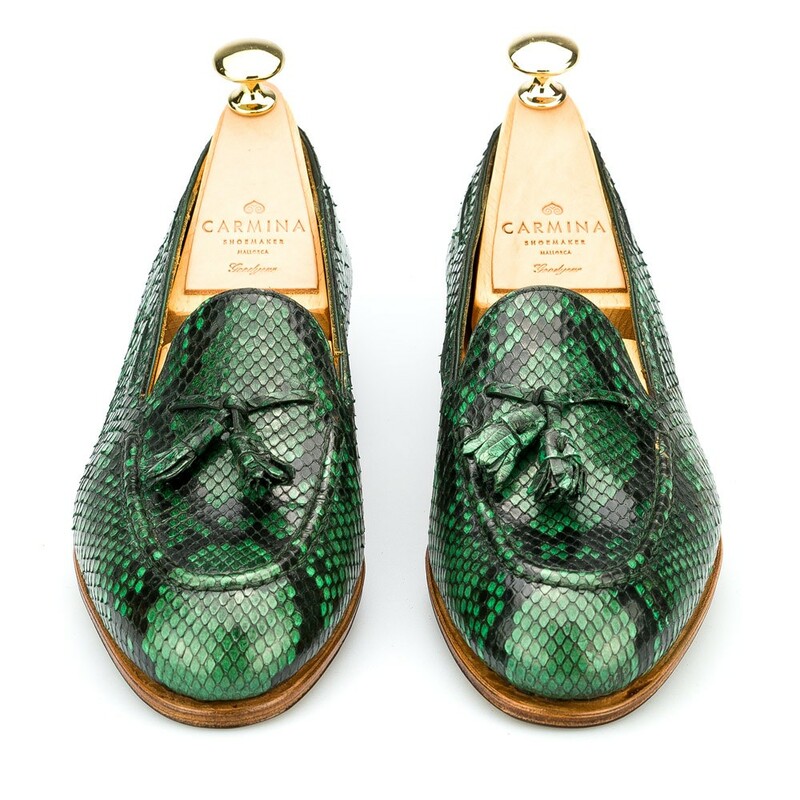 For this style we choose the Drac last. 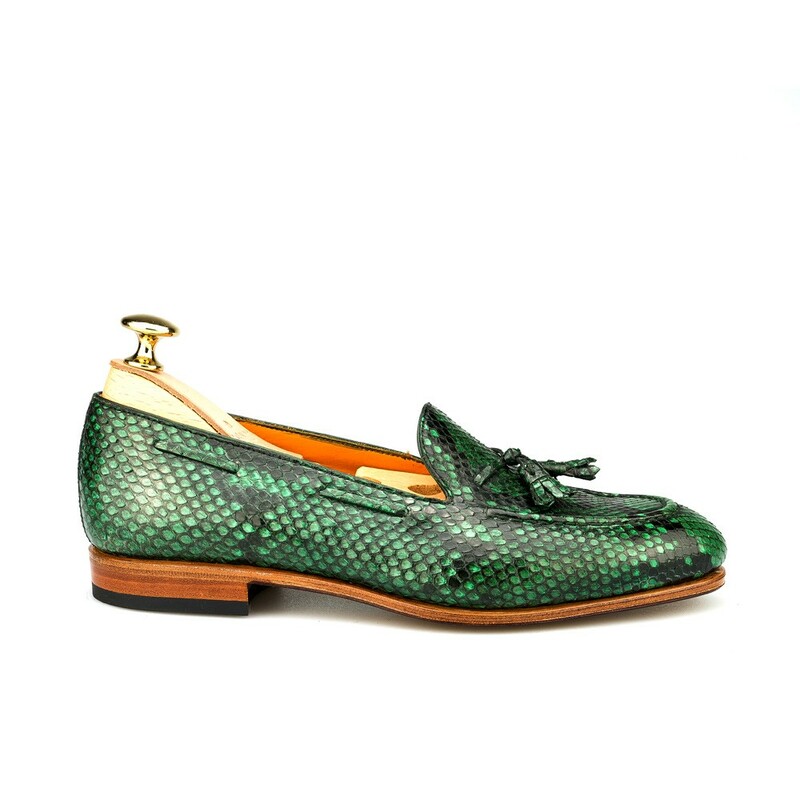 Drac it’s a last design specially for loafers with flat heel. 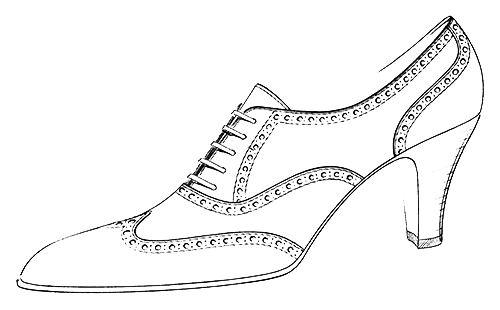 Semi-rounded on the toe and low on the instep and the waist for better fitting.